Good Running Shoes for Women that are FUN and Girly! 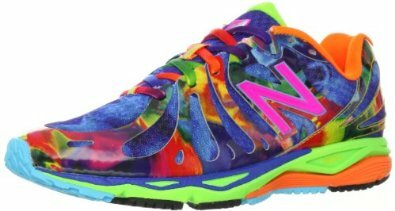 Top 10 Colorful and Very Pretty Neon Good Running Shoes for Girly Women! A lot of girly women also like to jog! And of course they like to wear girly sneakers! Lucky for us girlies, nowadays there are hundreds of gorgeous high-quality running shoes for women that are also super pretty, fun and colorful! Here are my favorite girly sneakers for running! Lightweight Girly Sneakers for Jogging! 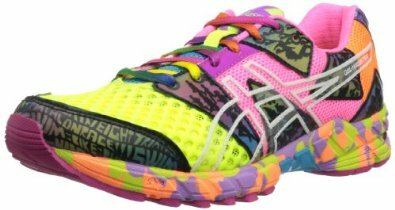 Girly buyers said they LOVE these cute running shoes because they are very lightweight, super FUN and colorful and so comfortable that they seem to be walking on air! As a girly lady, I always go for the colors and looks PLUS high-quality, of course! 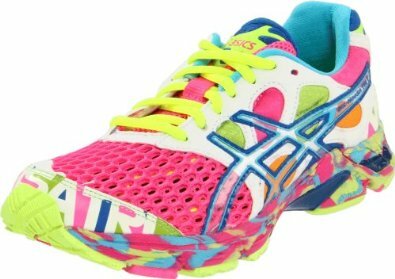 ASICS Women’s Best Running Shoes! A good pair of running shoes need to be very comfortable, of course, but also absorb shock as much as possible! The gel cushioning in these do just that! They fit great and are very comfortable! Girly buyers said they are perfect for walking, jogging on the treadmill, light jogging on the streets and work long hours on your feet as well! Best Colorful Sneakers for Jogging! 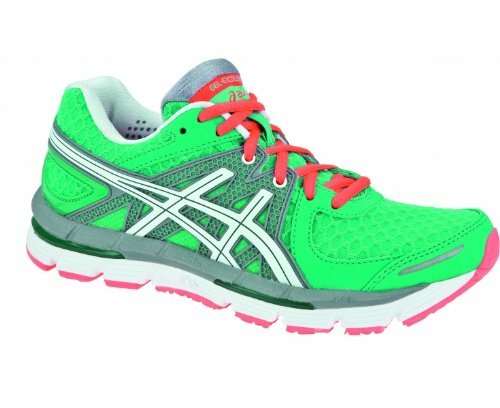 I love green and these bright green running shoes are gorgeous! Besides looking great, they were designed for running, offering not only great protection and support, but also enhancing your foot’s natural motion! It helps you use your foot’s energy to make you run faster and more efficiently! Best Trail Running Shoes for Women! Girly Sneakers for Running in the Mud! If you are a girly lady who also loves to be outdoors running in the mud, pond, rocks, hills and trails, these are for you! They are water-resistant, breathable and have extra-cushioning to keep your feet nice and comfortable while you take on the elements! 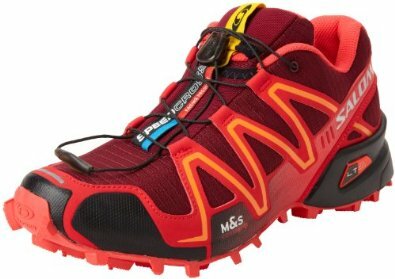 Happy buyers said these are the best trail running shoes ever! I love this ‘red flame’ color! Looks like they are on fire! Another Pair of Gorgeous Trail Running Shoes for Women! I couldn’t resist showing you these too! They are also ultra-light and built for speeding in the mud! 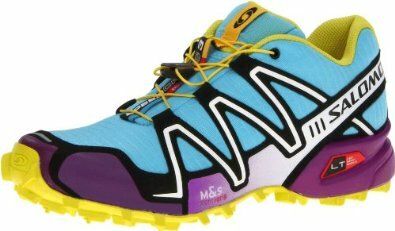 Adventurous buyers said they are crazy comfortable and great for jogging on rocks, bumpy trails and of course, mud! But after you are done, just give them a nice rinse and get ready for the next race! Cute Neon Pink Sneakers for Women! Hello girly neon pink pretty jogging shoes! 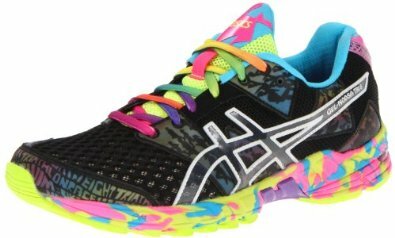 This is one of the best rated colorful running shoes for women being sold! With almost 150 great reviews by happy buyers! They all say these are awesome!! Not only one of the cutest jogging sneakers around, but also perfect for running long distance! A nurse also said she loves wearing these when she is on her feet 12 hours a day! As a girly lady, the bright colors sold me! Cute Running Shoes for Women! Another awesome pair of very cute and FUN running shoes for women! They are very lightweight and very stable on your feet! They also have the gel cushioning to absorb shock and keep you steady! Girly joggers say they are in LOVE with these cute running shoes! However they advise you to get a half-size larger for more comfort. 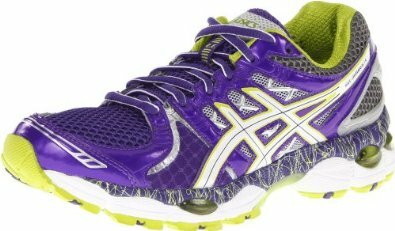 Cool Purple Running Shoes for Women! As a purple lover as well, of course I had to show you these amazing purple running shoes! Buyers said they are extremely comfortable and perfect for racers of all ages! They are lightweight and offer wonderful support! Easy on the joints as well! I like the name Nimbus on these shoes, it makes me think of Harry Potter flying on his broom! I love this vibrant color! I also have a pair of fun turquoise jogging shoes and I always get great compliments! I like to stare at my feet sometimes and see fun colors! These are very comfortable and also perfect for running on the treadmill or just doing aerobics! They are available in seven fun colors too, including yellow, pink and purple! Pick your favorite color and enjoy the day! 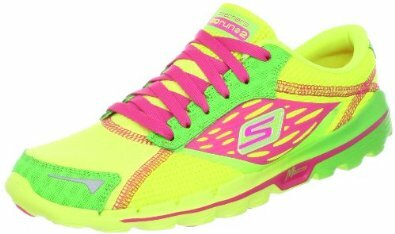 Lime Green and Yellow Colorful Neon Running Shoes for Women! 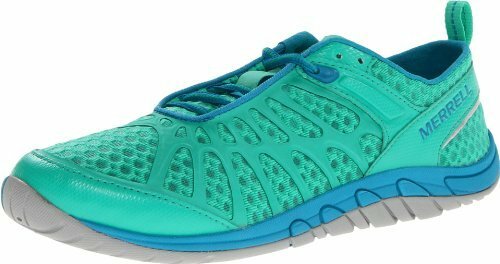 Skechers Women’s Affordable Jogging Shoes for Sale! I also LOVE lime green and neon yellow colors! Mix them up together and you have these! This is a very affordable pair of good running shoes for women! Buyers said they are amazingly comfy and light! One of them even bought three pairs, one in each color! Yes, they are available in different colors too, including orange, blue and yellow and gray, among others!